Sending your Query/Feedback, Please wait. 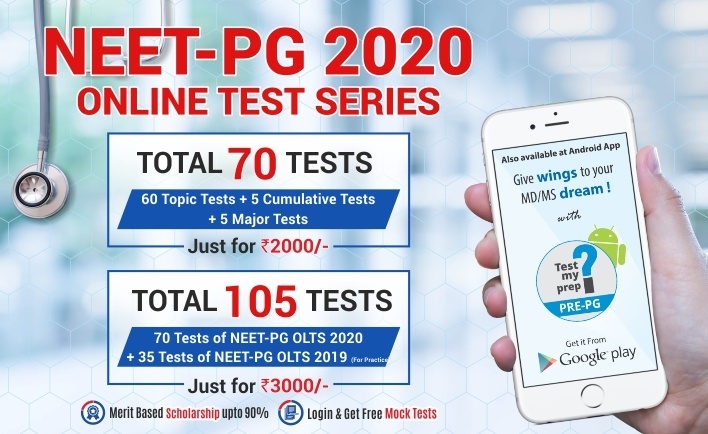 Get 60% OFF while enrolling for Online Test Series for NEET - PG 2020 if you are an Ex-ALLEN student. Kindly use code NPEXALN60 during CHECKOUT. 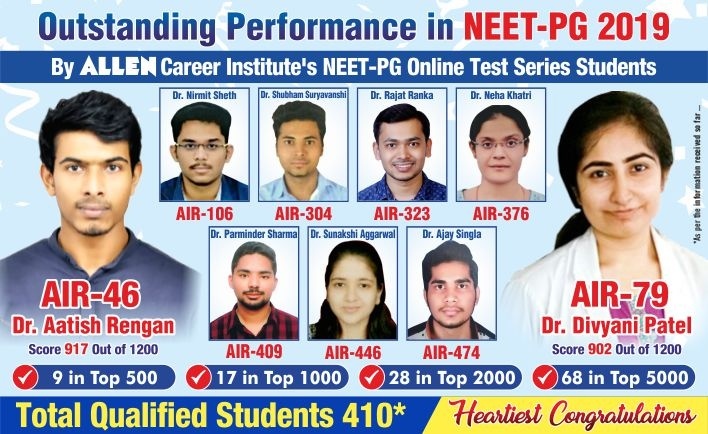 Continuously improve your NEET - PG preparation by going through the detailed reports and suggestions made by the platform after attempting each Online Mock Test. NEET - PG Online Test Series by ALLEN can be attempted on Simulator which is similar to actual NEET - PG exam interface. 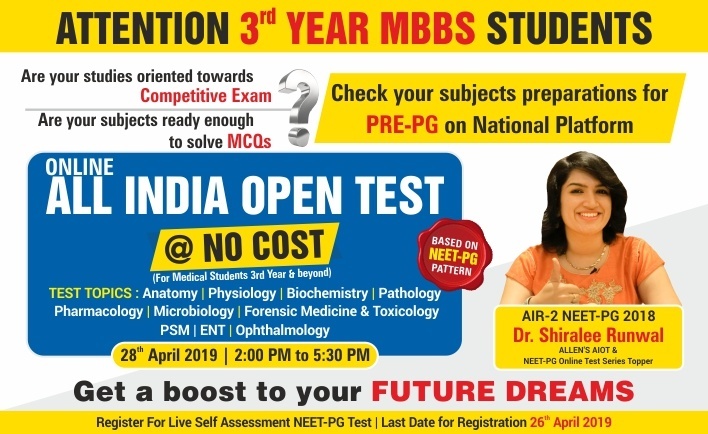 Boost your NEET - PG 2020 Online Test preparation with top-quality question content by India's most trusted name in Medical preparation, ALLEN Career Institute.